CAREER: Penguin won the Road March title in 1982 with "A Deputy Essential," and the Calypso Crown in 1984 with "We Living in Jail" and "Sorf Man." A schoolteacher by profession, he was very well-liked at Mt. Hope Junior Secondary School. 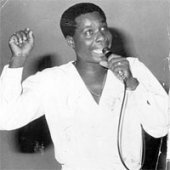 He also served as president of the Trinbago Unified Calypsonians Organisation (TUCO) from the late 1990s up to the late 2000s. Other memorable calypsoes from Penguin include "Betty Goatee," "What Sweet In Goat Mout," "The Slipper," "Look De Devil Dey," and "Taxi Woman."